In 2003 RE opened in a converted workshop, at the back of a filling station in Corbridge, a small market town in Northumberland. Our vision for RE was to create a unique retail environment in a large industrial space selling homewares - an eclectic mix of raRE, REmarkable, REcycled, REscued and REstored. It was always our intention to reach a wider audience and we launched our first mail order catalogue and website in 2004. The company consists of the founders Simon Young & Jenny Vaughan and a small dedicated team. what inspired RE and the name? In our previous jobs as fashion designers we were inspired by some of the new fashion and lifestyle retailers that we'd visited around the world and we decided to embark on our own vision selling the things we love. The name RE? It's a found object in itself, two large metal letters bought in a Paris flea market. Everywhere and anywhere, globally and locally we're always looking for something of interest, old, new, hand crafted, one-offs and the mass produced, anything that catches our eye and fits in with our vision. Look out for the REgd. logo, which is our own range of REgistered products which we design and manufacture exclusively. do you do interior and exterior products and what are your favourite outdoor products, are they versatile to enjoy year-round? 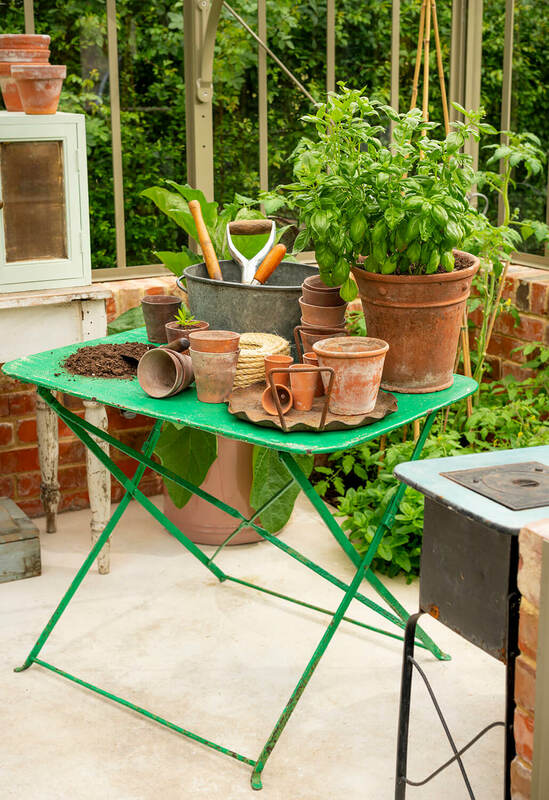 Yes both - as well as our indoor space we spill out into the walled yard at the back of the shop, ideal for planters, vintage garden furniture, tools, seeds and decorative pieces. Our central Christmas display this year is based on old French garden tables and a circular tree seat dressed all with willow, macramé hanging baskets and a festive selection of decorations. do your products vary seasonally? Christmas, as with most retailers, is very important for RE - everything becomes a gift at this time of year! We are known for our large selection of unusual and vintage Christmas decorations and because of our wide price range there's a gift here for everyone. In such a big space we are able to create different atmospheres and change the shop around seasonally or base displays on new products. how do you prepare for Christmas at re? We start in January - designing, planning and sampling new ideas for the following Christmas. Our final edit needs to be done by early summer so we can photograph and send out ideas to the press. The press and social media are very important to us being tucked away in rural Northumberland! do you have any christmas decorations available at re? 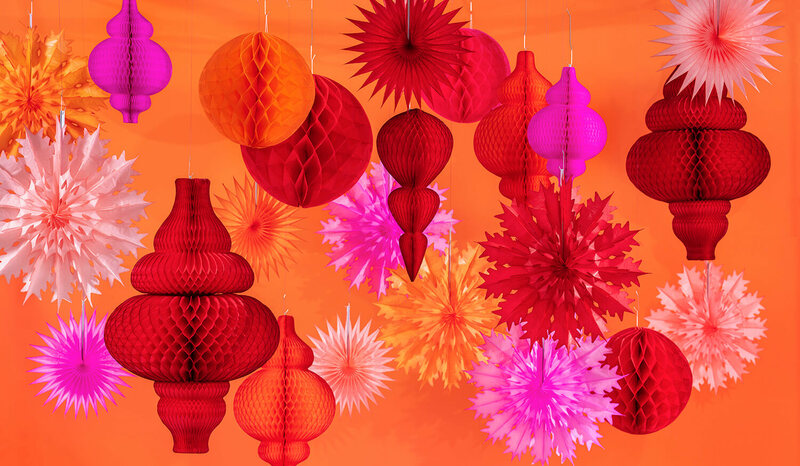 Yes we have a huge selection - we are known for our flat packed paper honeycomb decorations which come in a wide range of shapes, sizes and colours. We also have different themes each year but try to avoid the stereotypical. This year, amongst other things, we have a collection of charmed decorations that are hand made by women's groups in Egypt. We also have a spectacular range of hundreds of old blown glass decorations that we've been collecting all year. We noticed you have some beautiful and unique gifts, which is your favourite? JV: Textiles have always been my passion and I particularly love our REgd. 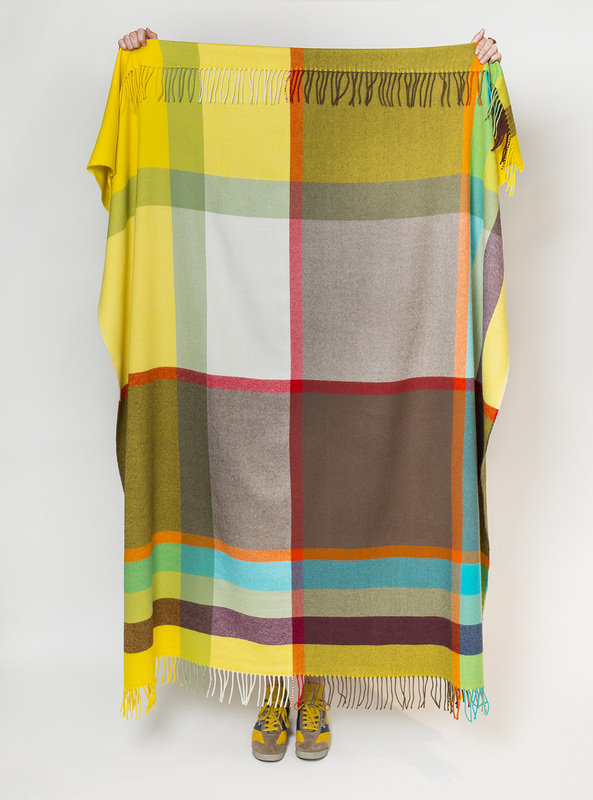 Lambs wool checked throws which we designed and have woven in Scotland. 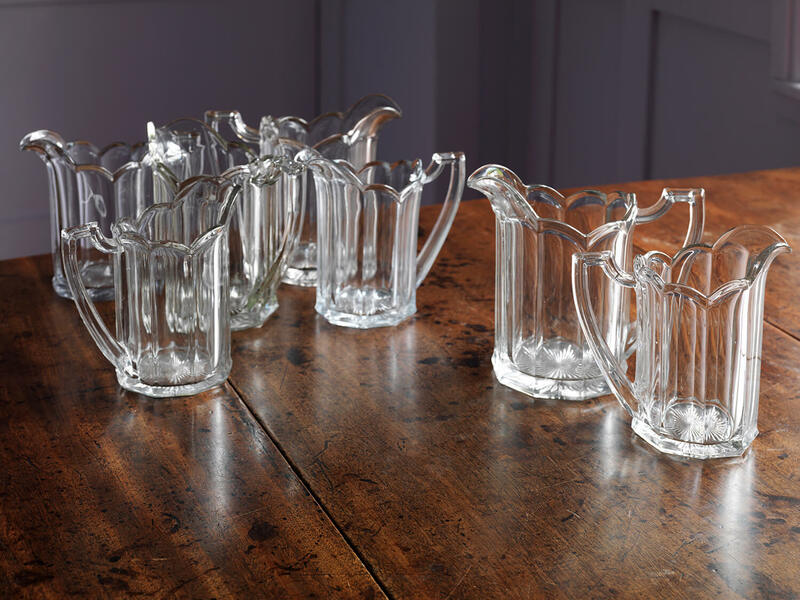 SY: I love antique glass and I'm drawn to Victorian and Edwardian pressed glass, much of it manufactured in the North East. We offer a great range of jugs, celery vases and cake stands. do you have any tips for people buying gifts? Start by thinking practically - do you have to post or carry it far? Are you working to a budget? Consider hobbies, interests and style of the person you're buying for. A theme always helps, particularly if you're buying a selection of small gifts for one person. Every gift should do one or more of the following things - make you smile, make you cry, make you think, be functional, and be frivolous. And remember the golden rule - choose something that they wouldn't buy for themselves!